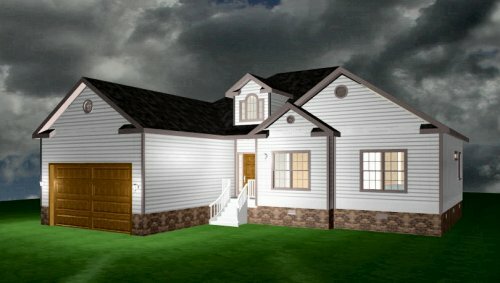 Single Story Home Under 2500 Sq.Ft.-KS030731-Carolina Coastal Designs, Inc. 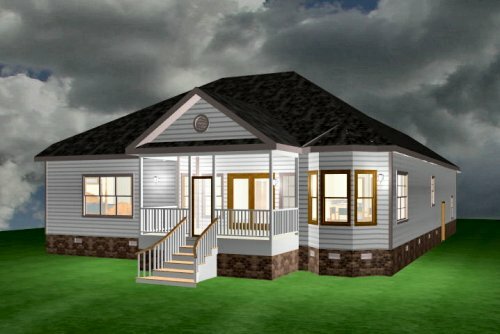 This lovely 3-bedroom home, situated on the big lake in Boiling Spring Lakes, North Carolina, is designed with maximum livability on one floor. A covered porch at the entrance to this home opens to a foyer with a dramatic 16' ceiling. A sitting room flanks the foyer on the left, while the great room is directly ahead. Open floor planning is utilized in the living areas to maximize the bright lakeside views. A large great room with a built-in bookcase, a modern kitchen with a snack bar, and a bay windowed breakfast room share this open space. The great room has a stately, stepped-up, tray ceiling and French doors that open onto a screened porch. A hallway off the foyer leads to a private master bedroom suite. 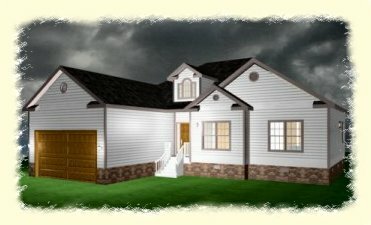 Two additional bedrooms and a full bath are also situated away from the living areas on this side of the house. A powder room and laundry facilities are conveniently located next to the two-car garage.